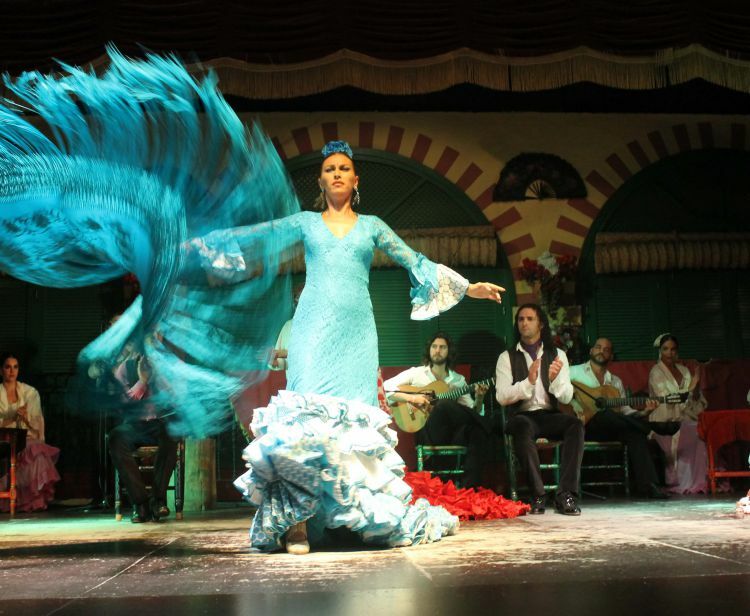 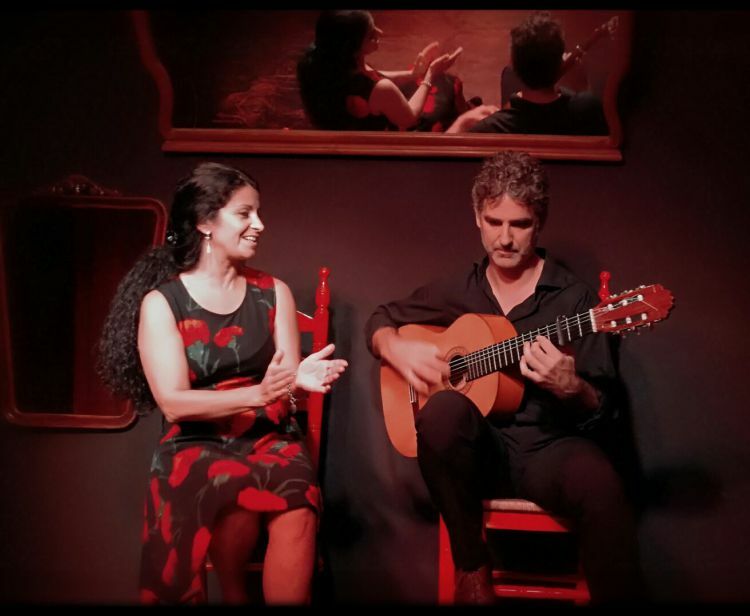 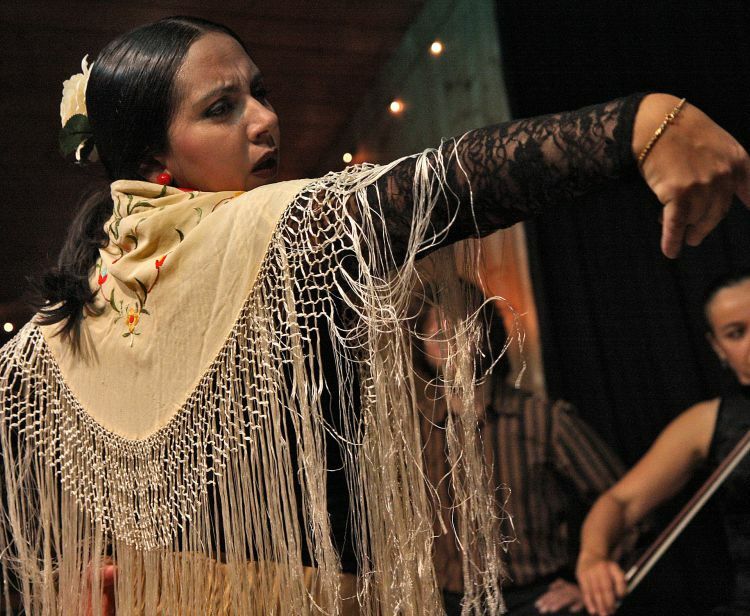 Discover andalusian culture during Cadiz Flamenco show with dinner included. 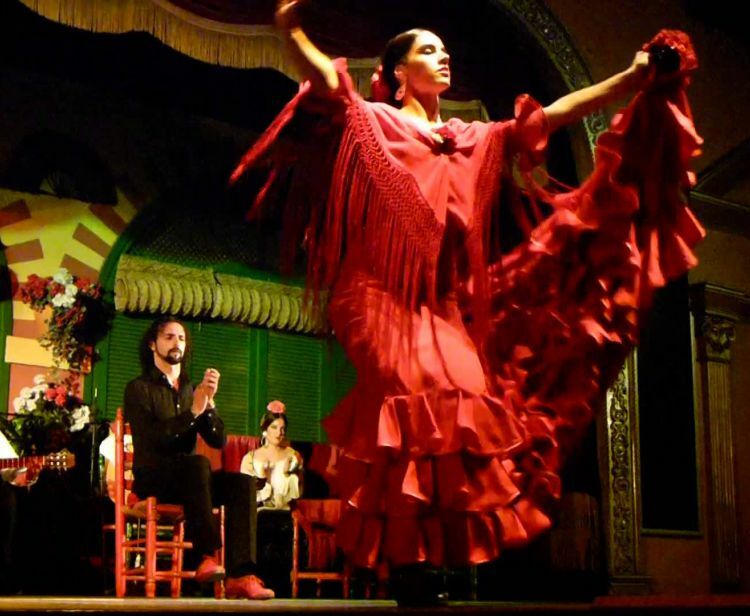 Discover the Pure Flamenco in Cadiz + typical dinner while you enjoy the show. 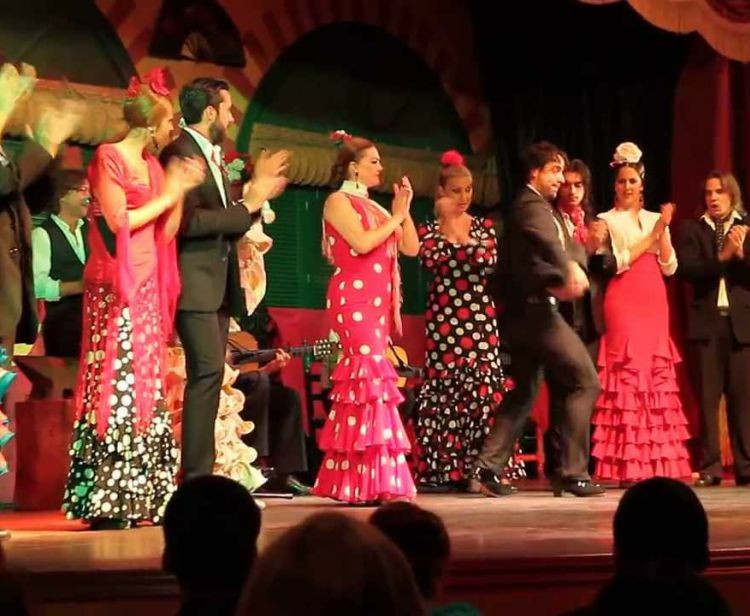 If you visit Cádiz you cannot miss an authentic Flamenco Show. 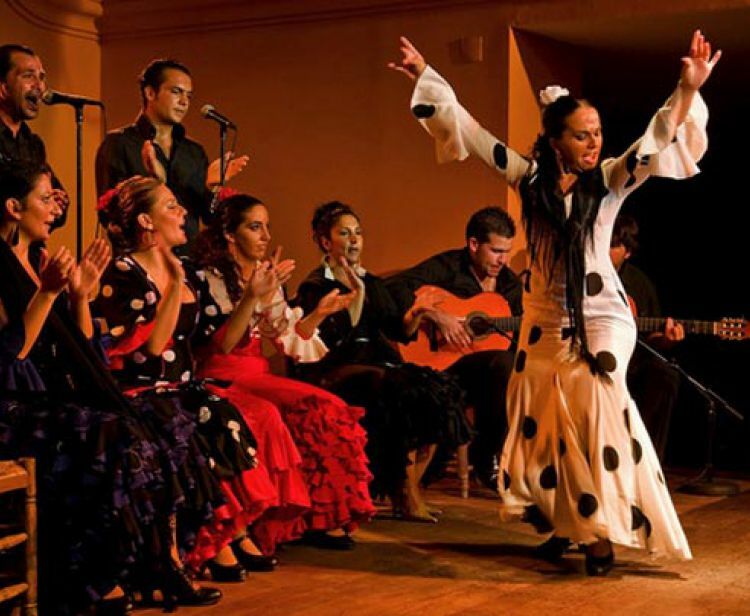 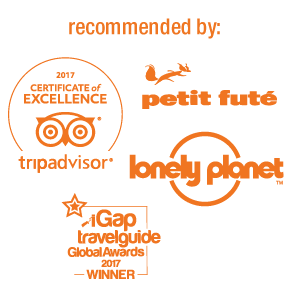 Cadiz is the cradle of flamenco,and where art is experienced differently from the rest of Spain.The province of Cadiz, privileged for fans of singing, dancing and guitar strumming, is a crucial milestone in the itineraries of flamenco, the artistic expression that is distinctive of Andalusia.The legacy of flamenco manifests itself as a cultural, social and aesthetic element, closely linked to the fairs and also family festive gatherings. 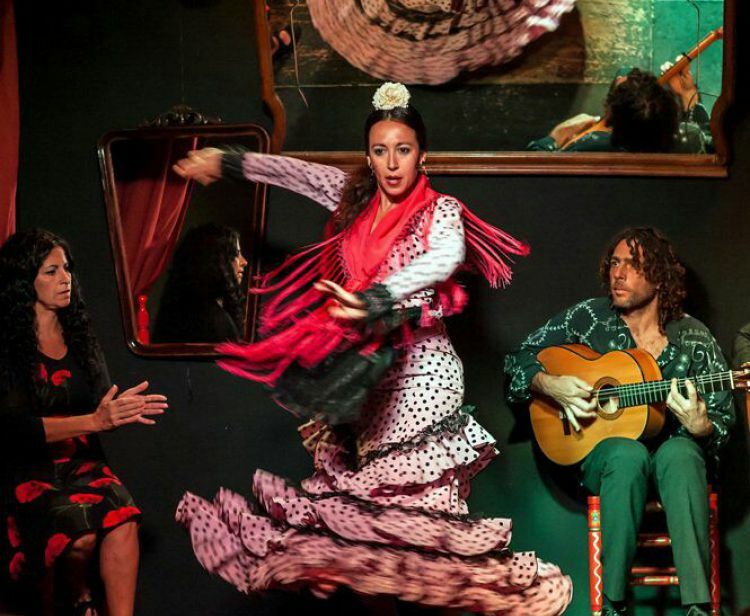 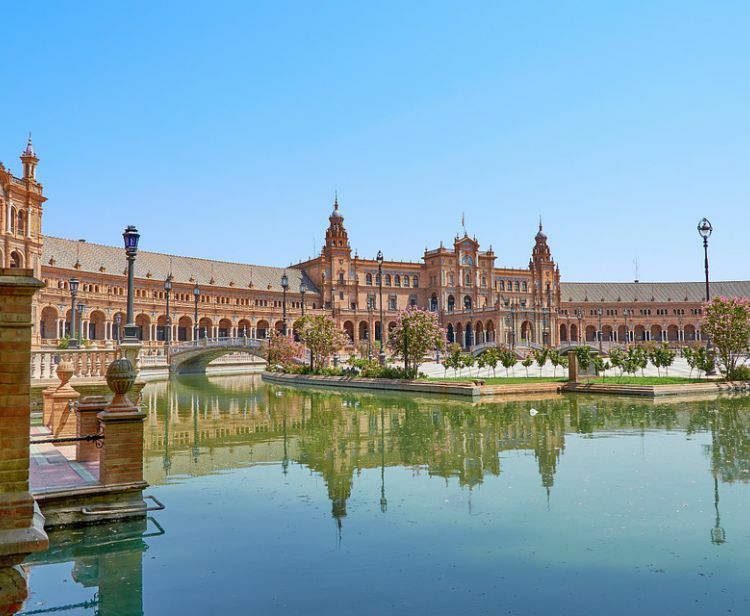 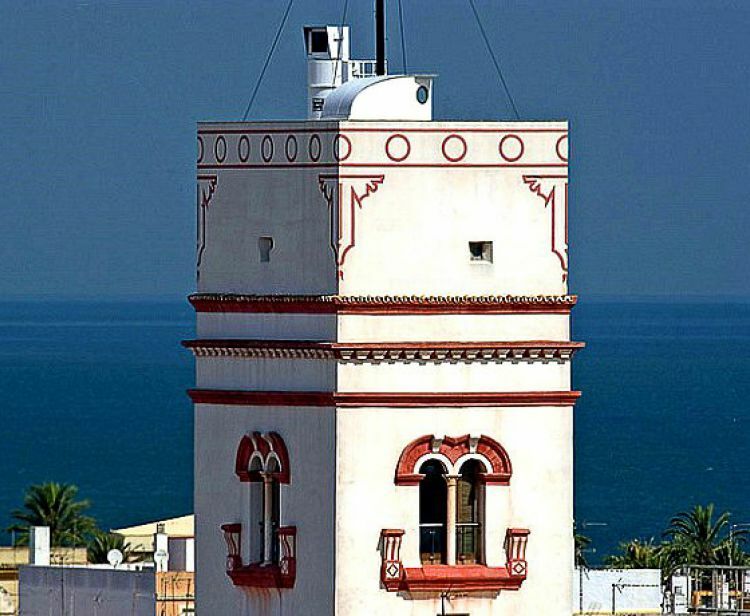 Cradle of great performers, singers, dancers and guitarists, like Camarón de la Isla, Paco de Lucia, José Mercé, Sara Baras and many other big names emerged from this province. 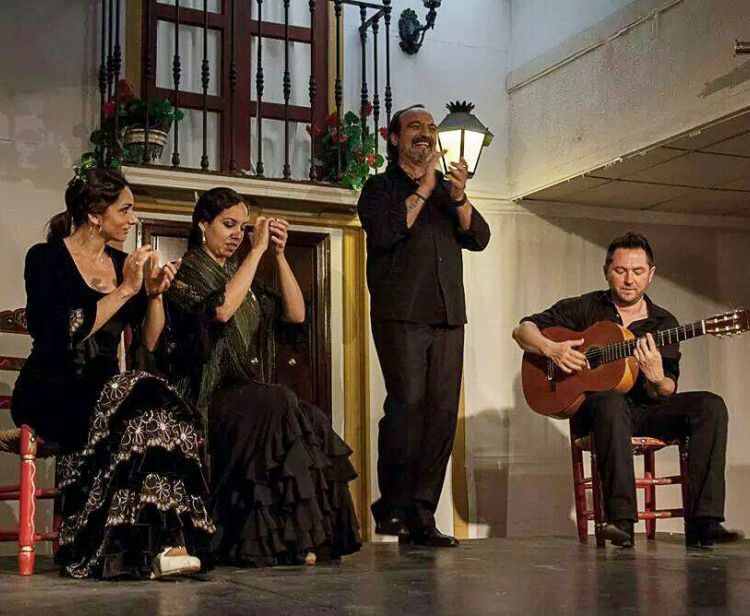 It is a purely flamenco performance consisting of 5 artists, a singer, a guitarist, a "caja" and two dancers. 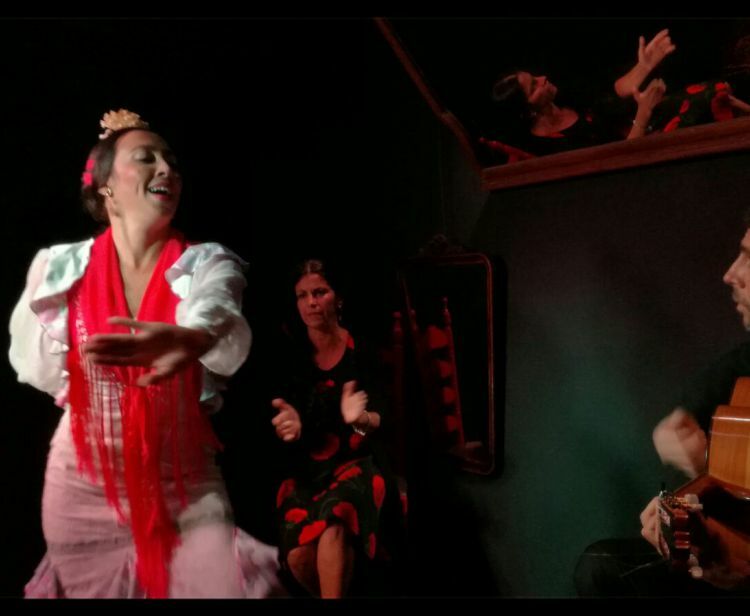 You will enjoy different styles of dance : por tarantos, alegrías, soleares & rondeñas, ending with a "final por bulerías". 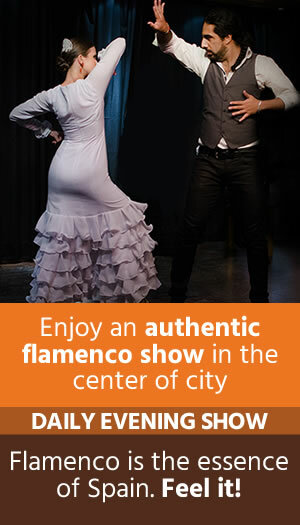 Flamenco Show 1,5 hours aprox. 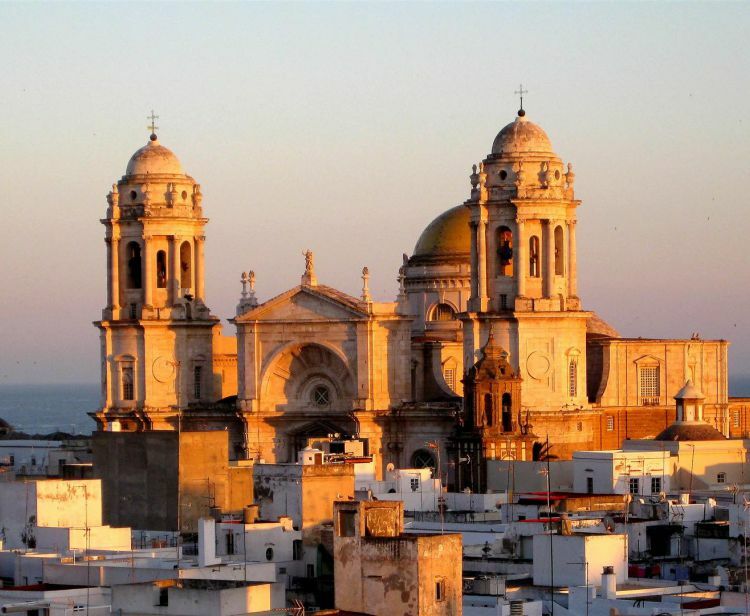 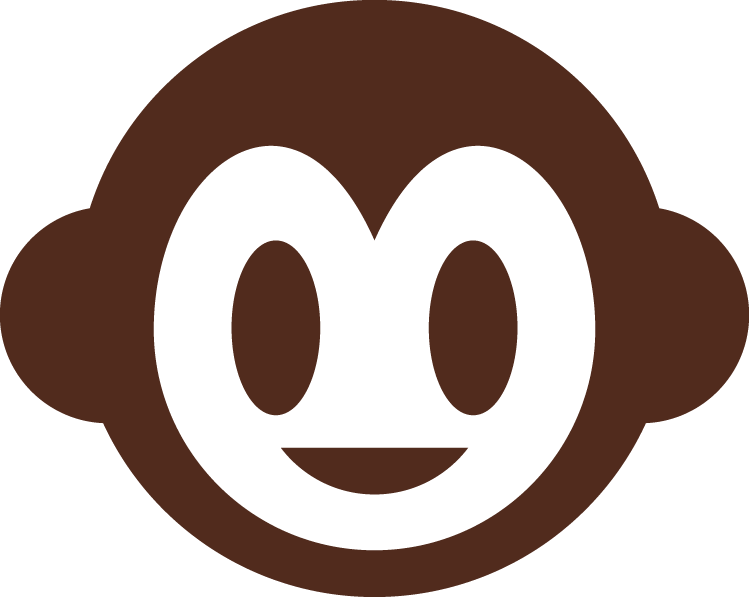 Drink (Beer, Blanc or Red Wine or Jerez Wine). 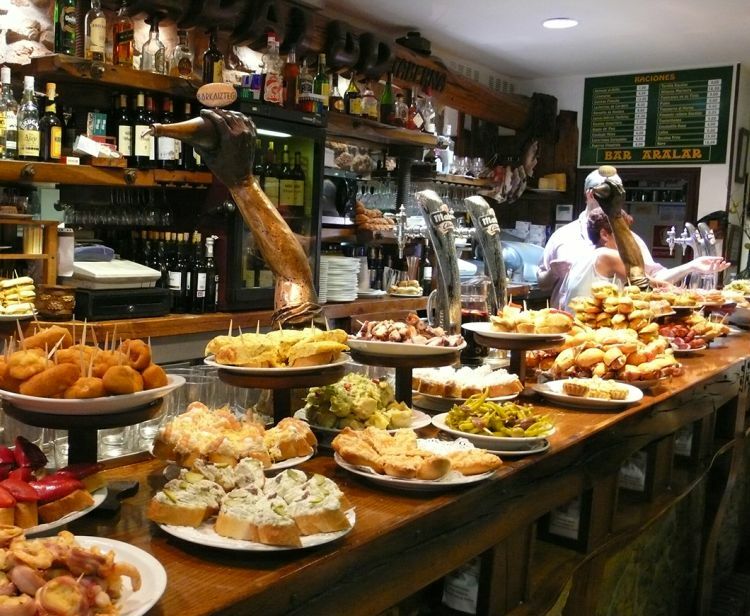 Typical Dinner: Iberian ham, cheese, Special "Chicharrones", croquettes and Spanish Tortilla.